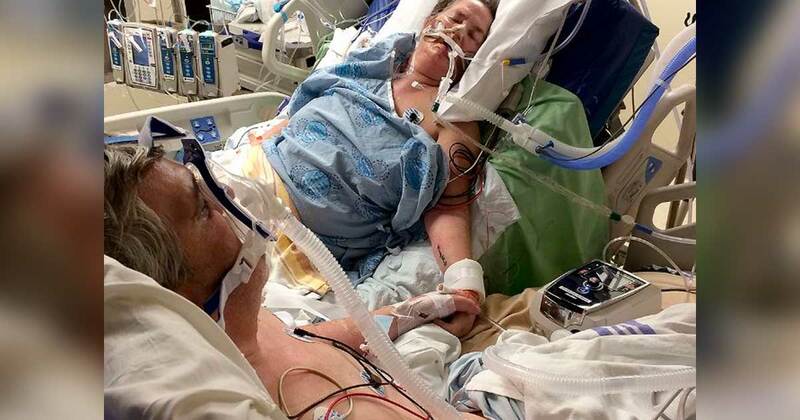 There’s a line in the beloved film The Princess Bride that says “Not even death can stop true love,” but Ontario husband and wife Jim Mininni and Cindy Ireland proved this to be true in real life. 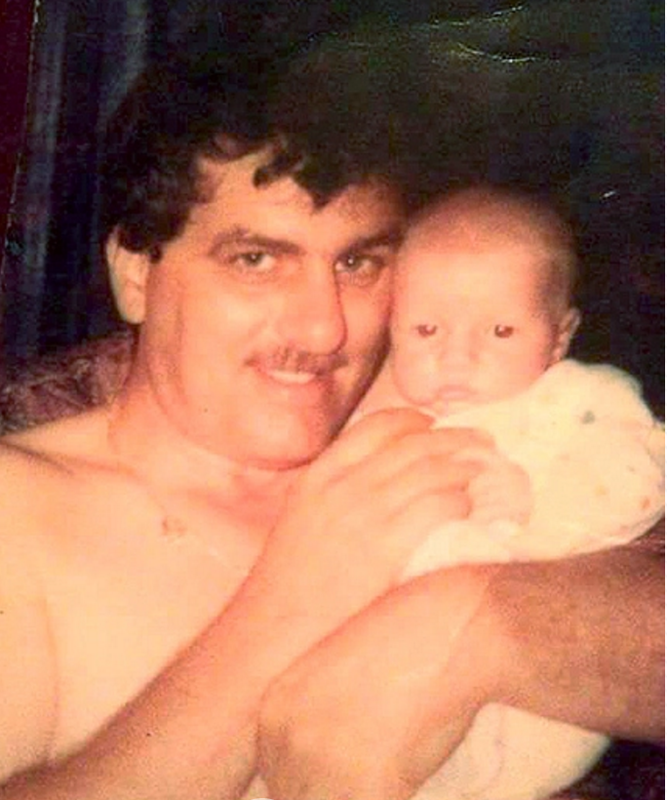 Jim had been battling cancer for eight years before he wound up on life support in the intensive care unit at Kingston General Hospital. Cindy had a heart attack the very next day and was also placed on life support. The couple was placed in two different hospitals. Eventually, Jim’s doctor was able to make it happen. “I should’ve realized it wasn’t a good sign but I was so appreciative of what he did,” Chris said. Jim ended up pulling out his breathing tube during a bad dream. He had signed orders not to resuscitate so the tube was not replaced since there was nothing left that could be done for him. 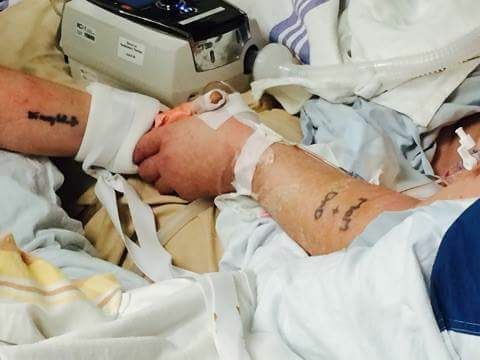 He wrote the word “Mom.” So the hospital did something that they’ve never done before. 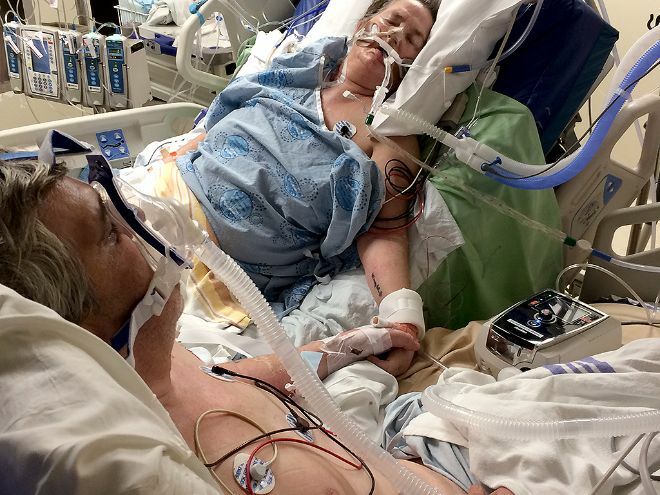 They put two patients, one who was on life support the other who just came off of it, in the same room. “It was very risky. But they did it for them. He started bawling and saying thank you by doing the praying motion,” Chris said of his dad. Jim was able to clasp his wife’s hand while she was sedated. Chris decided he would snap a photo of two of them as it was likely to be one of their last moments together on Earth. The first thing Cindy asked when she woke up a few days later was whether her husband passed away. 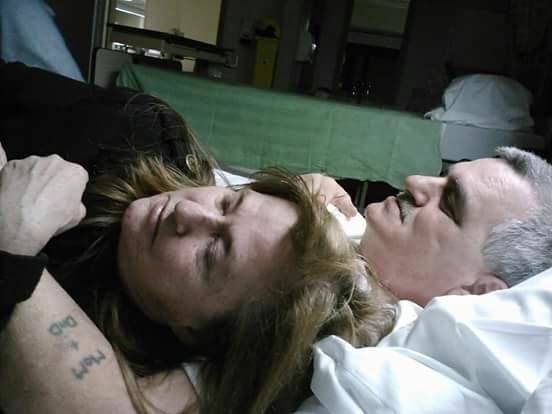 She found comfort knowing that she had a chance to be with her husband one more time before he passed away. They had been married for 24 years and were inseparable during that time. Chris ended up posting the photo on Reddit where many people left kind comments which brought joy to this mother’s heart. Truer words could not be said!